The longhouse has long been an important center of tribal culture. It is used as a sacred gathering place for wakes, funerals, memorial feasts, celebrations, and other cultural events. 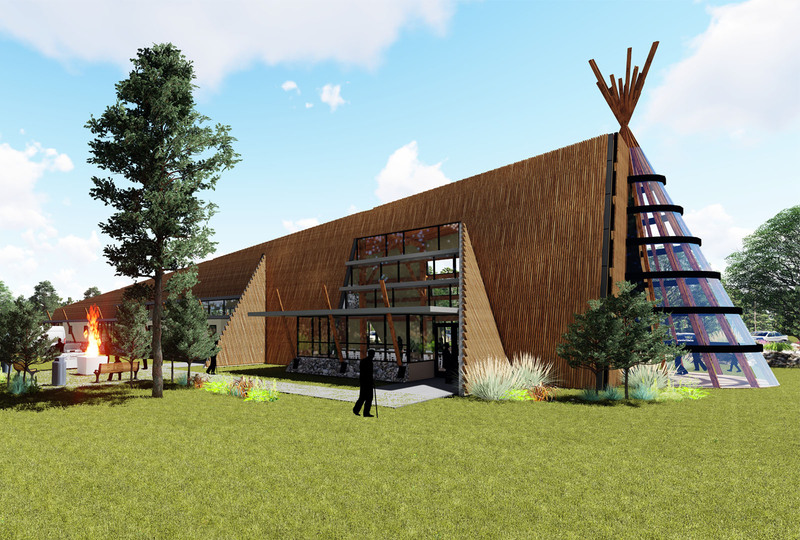 The Pablo Community Longhouse is designed to serve these traditional functions as well as provide offices for veterans and temporary sleeping spaces for use during events. The design is intended to provide a sense of cultural connection through historic forms and materials. The form is a long building with a single slope roof that culminates over the sacred space. 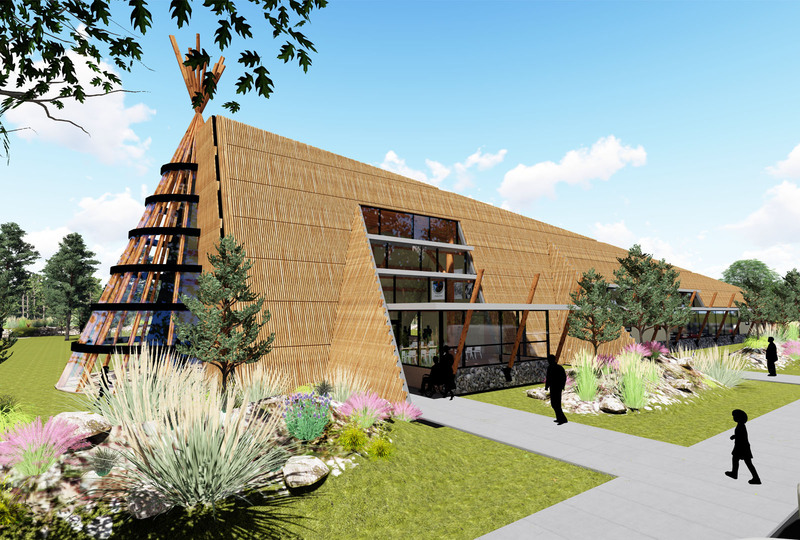 The exterior walls are sloped and the sacred space is within a half-teepee shaped glass cone. The sacred space is to the south of the building, while the ancillary spaces are positioned further north according to tradition. Main entries are on the east with the main exits on the west. Exterior siding materials are of wood, stone and glass primarily. A wood rainscreen was envisioned to be a nod to the Tule Mat teepees that were traditional for this use. The site includes outdoor space for cooking, meat drying, fires and outdoor activities including storytelling, contemplation and performance. Parking is provided for approximately 100 vehicles. To the west of the building is an area for kitchen drop-off and hearse parking.